While most other Chiang Mai golf courses have 18 holes, Lanna Golf Club comes with 27 holes (on three courses) and several other ways of entertaining it's visitors (horse riding, swimming pool, tennis courts, shooting), so bring the whole family and they will spend some quality time here. Among the path there are 20 lakes, some very large (and tall) trees, several water obstacles, and elevated greens. It is also worth mentioning that it will only take 15 minutes of driving to get here. 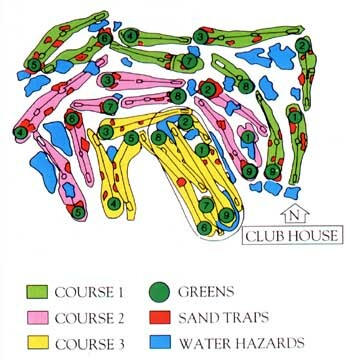 The first 18 holes were developed in 1972-'73, and only later the 9 new holes were added, using the horse riding track. At the Club House the restaurant will server you some very tempting dishes, Thai and European food.